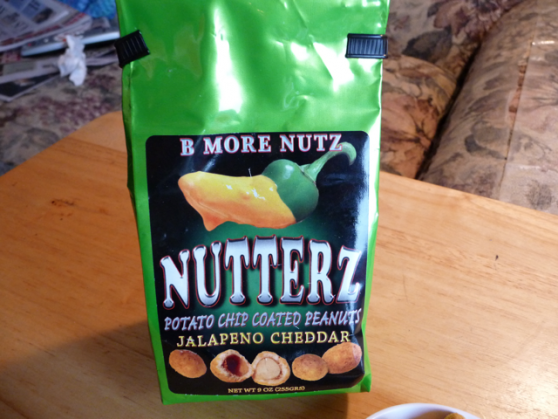 We recently opened a few bags of B More Nutz potato chip coated peanuts called Nutterz to bring you this review of a great spicy snack. With flavor profiles ranging from savory regional flavors (Crab Flavor, reminiscent of Old Bay), to Bacon Cheddar (one of the best sellers), Nuclear (too hot for me), and my personal favorite, Jalapeno Cheddar, he has brought an incredibly crunchy, “OMG, these are so good” bar/football party/hang out with your buddies/pop in your mouth snack foods. Not greasy like potato chips, not too salty like some nuts, I cannot say enough good things about Nutterz. Sold in 9 oz. resealable bags or 5 lb Party Pails, these are sure to start popping up in bars and living rooms across the country. We take a whole peanut, skin on, and coat it with potato batter—then fry it briefly in 100% pure peanut oil to give it a crispy shell. Seasonings from all-natural sources are added to give each Nutterz a unique flavor. Unlike potato chips, these won’t go stale… and we’ve never kept them around long enough anyway. Until I read this, I hadn’t realized the skins were left on the peanuts. ( I never liked the “paper” found on regular Spanish peanuts). They are so light and crunchy, savory and yes, addictive. Believe me when I say you must try these. Go to www.bmorenutz.com, or www.peppers.com, to place your order. Get a few bags because they go fast! 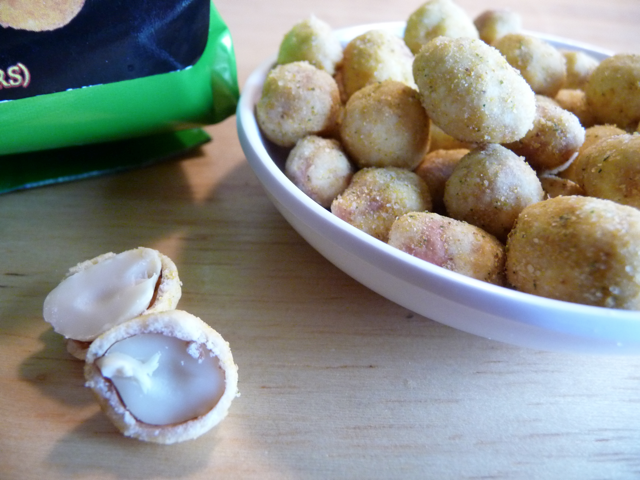 Texture & Appearance: – I love the texture – a crisp crunchy coating on the outside complemented by the softer peanut inside. Heat Level: – varies with flavor chosen, but none are without some heat. Label/Graphics: – great attention-grabbing graphics, superior packaging in a well-made foil bag with closures. 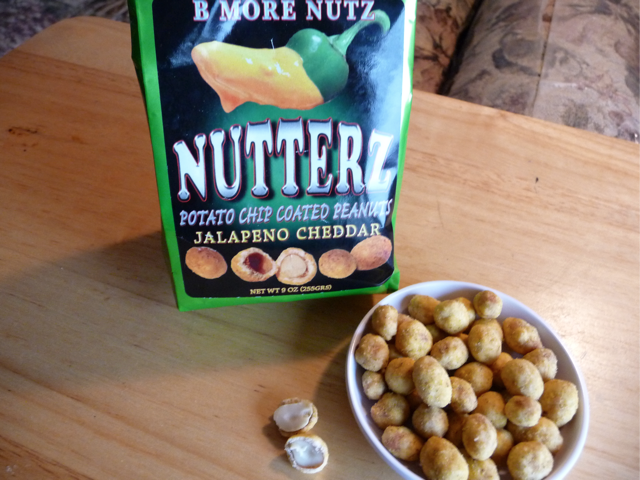 Overall Rating: – Great flavors, satisfying texture, and spicy profile make these a “must have onhand” at our house!